Tradelines Facts » Blog Archives » Tradelines at "Superior Tradelines, LLC"
What is an updated tradeline? The searched term sweeping the nation. 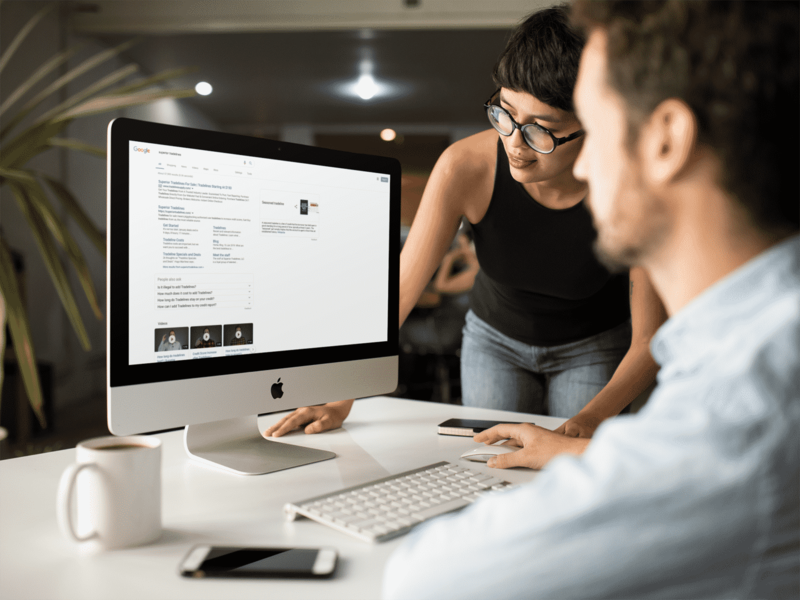 What is an updated tradeline? You’re asking for two reasons: First, you keep getting notices about them from your credit monitoring service. 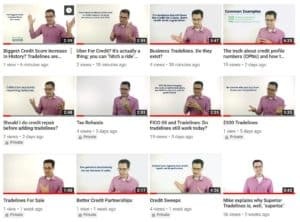 Second, you keep searching Google and all you’re coming up with is credit enhancement websites (like our website) where tradeline means something else. We’ll address both, for you, below. Are there tradelines for credit repair? If so, who has them? Well, we need to unpack this term and separate it into two sperate concepts. We will explain both, below. 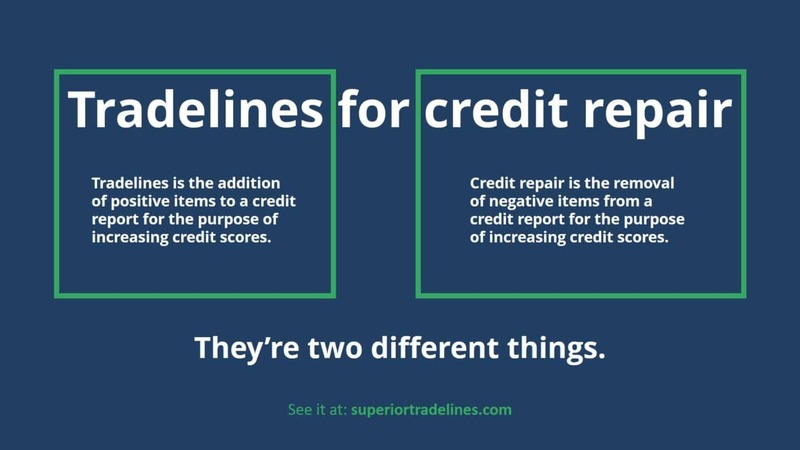 We’ll also show you how to repair your credit and add tradelines, correctly. You can’t use an ITIN to build credit and credit scores. No. 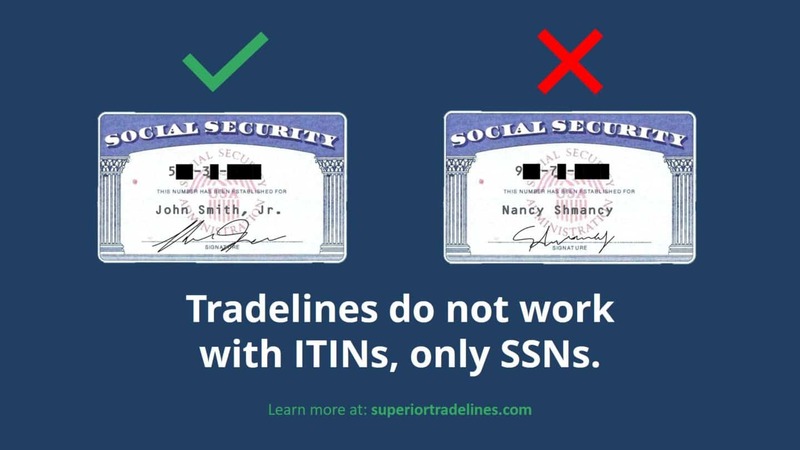 You can’t use an individual tax identification number (or “ITIN”) to build credit and credit scores to get loans instead of your social security number. Don’t get me wrong, I admire creativeness. But, the line is drawn. A credit hack that’s not nonsense. The concept of credit hacking is popular, but there are two versions: Illegitimate and legitimate. We discuss each below and recommend that you stay away from the former and focus instead on the latter. 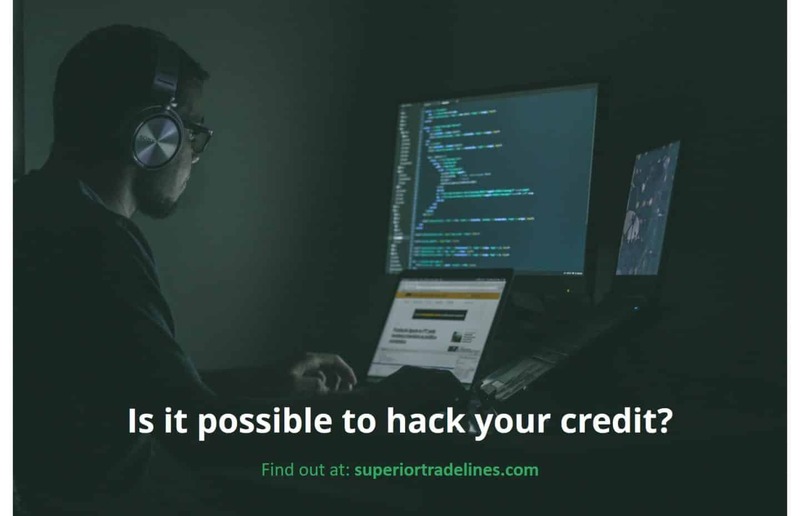 For example, adding tradelines is an actual credit hack. Every year since we started this company, we see search terms in Google for tradelines for sale followed by the current year. “Tradelines for sale 2019” is no different. We assume those searching are wondering whether or not tradelines can still be purchased in that current year or whether not tradelines work. © Superior Tradelines, LLC 2017. All Rights Reserved. https://members.superiortradelines.com/opt-out You also understand that it may take up to 48 hours before Superior Tradelines, LLC can acknowledge your revocation of consent. Free account and sign in. I consent to your communication terms.